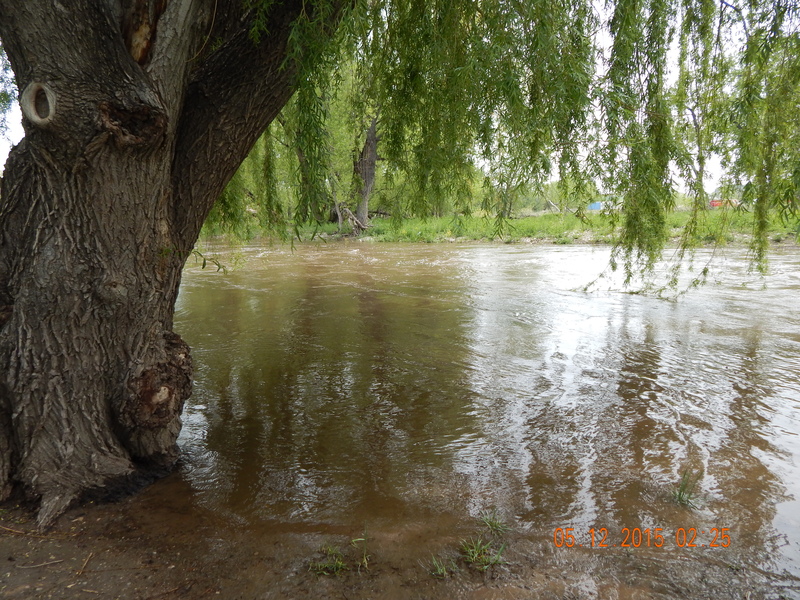 Once again, we are getting a lot of rain here and our rivers are swelling and overflowing in places. The city often has to close sections of the recreational walking/biking trails in places where the water overflows its river banks. The washed out places from the big Sept., 2013 flood that caused so much destruction here were recently repaired or rebuilt, but will now again cause the already saturated ground to become too soft or flooded in parts to allow good runoff. This part along the Big Thompson River in Loveland, Co. is one of our favorite walking trails, just a quarter-mile from where the water was at eye level behind a wall of the underpass. We also have a great deal of snow melt that comes down from the mountains in areas adding to the rivers’ water levels.